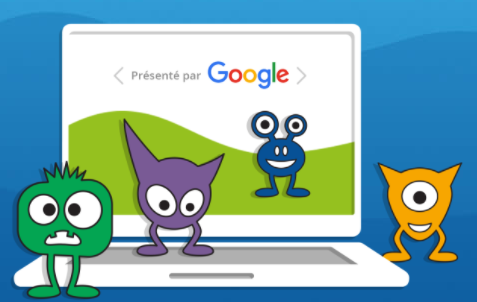 Official Google Canada Blog: Students, get coding in Montreal! Students, get coding in Montreal! As kids, we both had an early interest in technology. Somehow though, neither of us really got into programming until university. Today, when we visit classrooms to talk about technology, we witness this same interest. Kids don’t simply want to use technology, but are curious about how it all comes together! That’s why today, we are proud to help launch Code MTL, a program funded in part by Google Canada that aims to teach Quebec-based students ages 8-12 how to code. Initially, over 3,200 students from 65 schools in the Commission scolaire de Montréal will follow workshops to help them develop their mathematical and coding skills. From drawing blocks in Scratch to debugging computer code, workshops and resources will be available online for all students to access, no matter where they are. While many kids today have access to all kinds of computers and connected devices, there remains a gap in opportunities for young Canadians to learn how to design and build the technology that is shaping our world. In fact, less than 50 percent of Canadian youth graduate from high school with a senior STEM course, even when 70 percent of today’s jobs require STEM education. As software developers at Google Canada, we believe that learning these skills will open students’ minds and provide them with the right tools to create and innovate. And it’s not just students who want to work in tech who will benefit! Computer science is a language of creativity, of entrepreneurship, and of potential. Whether you want to be a doctor, an artist, a designer or work in finance, programming skills can help teach you how to think logically and creatively. To bring this program to life, we worked with La Fondation de la Commission scolaire de Montréal, le Gouvernement du Québec, Ubisoft Montréal, Jeux WB Montréal et Kids Code Jeunesse. The content is available online for everyone today, and students will start the workshops this month. With Code MTL, we’re invested in supporting future tech innovators grow and work in Quebec.